Each year thousands of drivers travel Washington State's breathtakingly beautiful North Cascades Highway (State Route 20), observing the region's alpine flora and fauna and its dramatic geologic features. 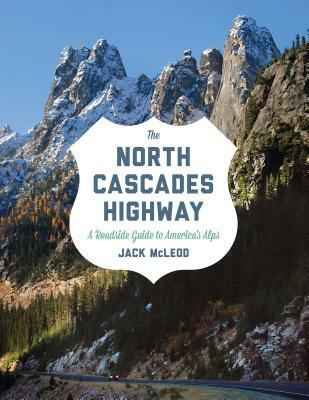 The North Cascades Highway, an illustrated natural history guide, helps travelers and readers to appreciate the deeper beauty behind the landscape. Organized as a series of stops at eye-catching sites along eighty miles of the highway, The North Cascades Highway reveals the geological story of each location. Plate tectonics, rock formation, erosion, and glaciation are explored to show how the features of the North Cascades landscape came into being as they exist today. Human history is also included, as the book describes how miners, climbers, and poets have been inspired by the geology and terrain of the North Cascades. For travelers on the road, the easy-to-use guidebook format includes mileage, parking information, and detailed maps. Stunning color photographs allow armchair travelers to enjoy the journey as well. Appendices provide detailed information on geologic time, rock types, glaciers, and the geologists who have decoded stories hidden in rock and ice. The North Cascades Highway provides a unique experience of a striking landscape that is also a rich, interwoven system of living things, climate, and geology. Jack McLeod teaches physical, earth, environmental, and space sciences at Cascade High School in Everett, Washington, and has served as Science Coordinator for the Everett School District.